It may be August, but if you work in the retail or CPG space, then your mind is probably in November or December (i.e. the holiday season) already. And if it isn’t, it’s high time to start thinking about the holidays. Brands across the board will surely bring their A-game to reach and convert shoppers, and the last thing you want is to get left in the dust during the most important shopping season of the year. Need help preparing for the holidays? We’ve put together some expert-backed tips to help you get ready for the upcoming season. Have a look below. Your creative direction and brand strategy must be locked in early on as it will serve as the “north star” for your brand during the holidays. And once you’ve established these things, communicate them clearly to the rest of the company. “Every employee and every brand representative should understand that direction,” Guillot adds. Getting your product assortment is critical all year round, but the stakes are much higher during the holiday season, and you can’t afford to miss the mark. Iron out your assortment plans early and be sure to come up with compelling promotions and campaigns to get your product off the shelves. “The first thing CPG companies and retailers can do at this time of year is plan the assortment they intend to feature during the holiday.” By getting laser-focused “on a set of SKUs, you can think through other promotional elements like any price discounts, expected profit margins, as well as what story you can build around the assortment to better position it with consumers.” – Bob Clary, Director of Marketing, DevelopIntelligence. Speaking of visual merchandising, you want your visuals to evolve as the holiday season progresses. Implementing time-aligned visual merchandising such as relevant shelf talkers says Guillot, will help you stand out and maintain relevancy throughout the season. When it comes to implementing your visual merchandising, she recommends creating “is and is not” frame of references, in which you show retailers both the correct and incorrect way to execute your visual merchandising. “Showcasing one photo of acceptable merchandising is a must, but showcasing several photos of unacceptable merchandising refreshes the merchant’s eye,” she says. Spend time pre-season creating your “is and is not” materials. Be sure also to consider how your inventory would fluctuate throughout the season and prepare merchandising guidelines to accommodate those stock changes. “As the season progresses, inventory availability changes. Strong performing SKUs start to stock out and underperformers begin to fill the shelves because you need to move that inventory. At that point, you need to ask yourself ‘what is acceptable merchandising NOW?’ Then, resubmit “is and is not” photos so you can correct visual execution,” recommends Guillot. Once you have your merchandising guidelines in place, plan and schedule retail audits to evaluate their execution. 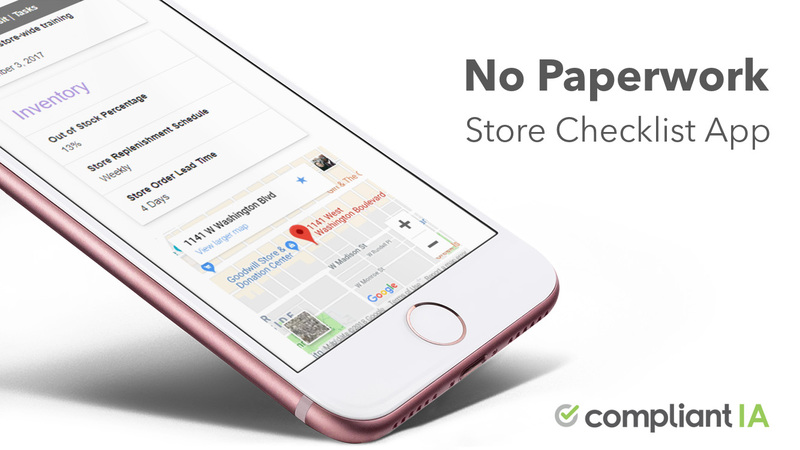 Map out your store visits and coordinate with your retail partners as early as now to ensure that everything is on schedule for the holidays. 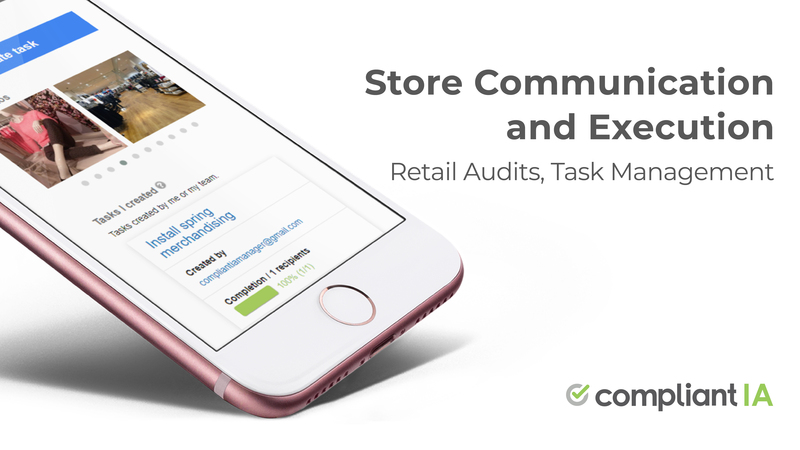 To increase efficiency, use a cloud-based retail audit software that works on multiple devices and keeps various parties on the same page. See to it that store and merchandising information are updated in real-time so you can quickly make adjustments. The holidays are hectic, after all, so speed is essential. Launching holiday promotions and stunning displays aren’t the only things you can do to grab shopper attention during the holidays. One sure-fire way to engage busy consumers is to be the brand that makes their lives easier. Ask yourself, what are the pain points of your customers during the season? How can your brand alleviate those pains? Creating gift guides – Save your customers time and effort from having to shop around for the perfect gift by compiling your top recommendations in a handy gift guide. Categorize products according to price point, gift type, recipient, or all of the above, to make it easy for shoppers to find what they’re looking for. Having content or tools around how they can use your products during the holidays – Getting people to buy your products is great, but you know what’s even better? Enabling them to find value and great uses for your merchandise. Create content that gives people ideas on how they can put your products to good use this coming holiday season. For instance, research has shown that recipe searches typically spike during the holiday season (October to December), so if you’re a food brand, consider offering helpful recipes that list your product as an ingredient. Tutorials might also do the trick. What questions do your customers ask during holidays? What activities do they take part in? Take note and create educational materials around those topics. And don’t limit yourself to text. Visual content such as images and video can prove to be engaging as well. “CPG companies should consider creating holiday videos as creative ways to connect with their shoppers,” said Cyndi Pyburn, Director at Sklar Wilton & Associates. Setting up wish lists – Another thing that can make your customers’ lives easier? Wish lists. Allowing shoppers to put desired items in one place makes it faster for gifters to find — and buy — the right products. Many consumers rely on gift guides from influencers and media publications for ideas and shopping inspiration, so securing spots in holiday gift round-ups or guides in your industry could give your brand much-needed exposure. Approach writers and editors from relevant publications, as well as bloggers and influencers in your industry to see if they would consider including your products in their holiday roundups. Publications and blogs typically plan these pieces months in advance, so now would be the perfect time to send your pitch. Mapping out your holiday to-do list is important, but don’t forget also to identify the things that you shouldn’t do. Take some time before the holiday season to list the tasks or projects that shouldn’t be tackled from October to December, then share that list with the rest of your team. Are you currently gearing up for the holidays? What’s on your to-do list? Let us know in the comments.